Ravichandran Ashwin, on Monday, congratulated MS Dhoni after the latter got conferred with the prestigious Padma Bhushan award. 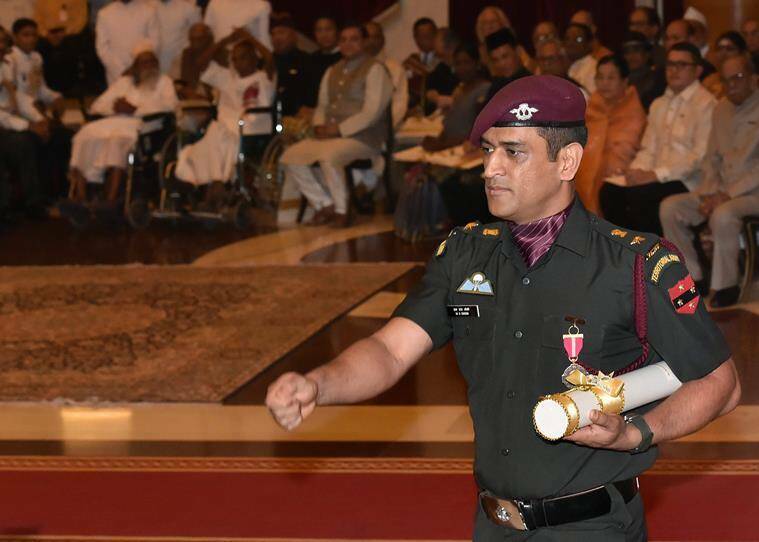 Dressed in his Lieutenant Colonel uniform, Dhoni walked like army personnel when his name was called upon to receive the award. The Indian Territorial Army had conferred the honorary rank of Lieutenant Colonel to Dhoni on November 1, 2011. Incidentally, Dhoni received the award exactly seven years since lifting the ICC Cricket World Cup as India skipper in Mumbai on April 2, 2011. That title had ended India’s 28-year World Cup drought. Dhoni had famously lifted Nuwan Kulasakara’s delivery for a six to win the game at the Wankhede Stadium. The World Cup-winning skipper is the most decorated captain in the history of Indian cricket. Till date, he is the only skipper to have won all the three global ICC trophies – World T20I, World Cup and Champions Trophy. The latest award adds another feather to his already impressive haul of trophies. He had won the ICC ODI Player of the Year award in 2008 and 2009 (the first player to win it twice), the Rajiv Gandhi Khel Ratna award in 2007 and the Padma Shri, India’s fourth highest civilian honour in 2009. Did you know what has transpired in past 10 IPL editions?